With just a few weeks to go before early action deadlines hit, we’ve been reviewing A LOT of college application essays. Some are great, some merely good, and some…well, some need quite a bit of work. To help you get your college admission essay ready for submission, we’ve compiled some of the most common advice that we’ve been giving to our students this year. Hopefully this will help you polish those essays and get into your dream schools! Avoid clichés. Check out our list of the most common essay topic clichés for help. 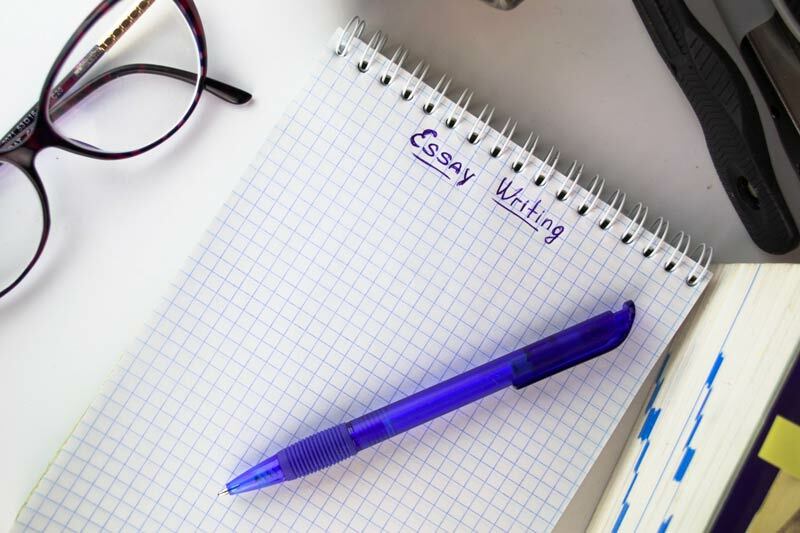 When you’re brainstorming topics, look at your list of ideas and ask “Could someone else write an essay like this?” Your essay should be totally unique to you, so make sure that whatever topic you choose can be customized so that no one else could possibly write an essay like yours. Last minute tip: Even a slightly clichéd topic can be rendered unique through effective use of details. If you’re worried your essay is clichéd, be sure to include plenty of details that are unique to your experiences. Address the prompt. The Common App got rid of the “topic of your choice” option for essays, and this seems to have thrown a lot of students for a loop. We’ve seen a large number of essays that have failed to adequately address the essay prompt, so be careful! Last minute tip: If you’ve finished your essay and you’re worried that you strayed from the prompt, consider looking at the other prompts to see if a different prompt might better suit the essay. Alternatively, consider only rewriting your conclusion; often, a new conclusion can make the entire essay suit the prompt better. Don’t think too far outside of the box. Creativity is wonderful, but a lot of students lose clarity when they aim for creativity. If your reader can’t figure out what you’re trying to tell them, then no amount of creative storytelling will save the essay. Think outside the box, but make sure that you’re not so far outside the box that you can no longer even see the box. Last minute tip: Have someone you’re not close to read the essay to see if it makes sense. Friends, family members, and your teachers likely know you well and will be able to read between the lines, so they aren’t always the best sounding boards when you’re trying to be creative with your story. You need a good beginning, middle, and end. Many of the essays we’ve seen this year have excellent introductions and go downhill from there. While a strong opening is vital to a good admission essay, the middle and end also have to be good. In fact, the conclusion is arguably among the most important parts of an essay because readers will always remember the first and last things they’ve read. Last minute tip: After you’ve arrived at what you believe is your final draft, read the entire essay again. Is the conclusion memorable, or does it read like a list of lessons you learned? Does the conclusion contain clichéd phrases (like “Suddenly I realized…” or “I discovered…”)? The essay is not a resume. Your many accomplishments, awards, and honors should already be listed elsewhere in your application. The essay is the place to show your admission officer that you are a three-dimensional human being with emotional depth, intellectual curiosity, and an interesting personality. A list of the things you’ve done in high school doesn’t serve that purpose. It’s boring to read, it sounds narcissistic, and it tells the reader nothing about you as a person. Last minute tip: Make sure that no part of your essay reads like a list of accomplishments. Many students create otherwise strong essays that end with a conclusion that lists related accomplishments or skills – don’t do that! Show, don’t tell. You need to share stories that illustrate the ideas within your essay rather than simply spelling everything out for the reader. So, for example, don’t say “I felt relieved when my speech was over.” Instead, show how you felt: “As my speech came to a close, my heart resumed its normal rate and blood flowed back into my cold, clammy hands.” Last minute tip: Read through your essay and highlight any phrases that could possibly be illustrated through story telling. Look for phrases like “I felt” or “I remembered”, as these are often phrases that indicate that the thought could be better shared through a story. Use your senses. Bring your reader on a journey by including lots of sensory details and imagery. What did you see, hear, feel, smell, or taste? What details can you share with your reader to make your story more real? For example, instead of simply saying “The water in the pool was cold”, write “As my skin hit the freezing water, I could feel each individual goose bump form.” Last minute tip: Highlight descriptions within your essay. If you have any spare word count remaining, add sensory details to those descriptions to add dimension to your essay. Don’t use ten words when five will do. One of the hardest parts of writing a strong college essay is knowing where to cut. Many students trim their essays simply to fit within the given word limits, but cutting unnecessary words and phrases is important regardless of how long or short the essay may be. Being able to share your story, thoughts, and feelings succinctly is the mark of a strong writer, which means that wordy or repetitive essays send a negative message to the reader. Last minute tip: Look for repeated words, phrases, or ideas and eliminate the repetition. Look for sentences or paragraphs that could be rephrased to share the same ideas in fewer words – without losing good descriptions. Use sophisticated words. This does NOT mean that you should pack your essay with SAT words, but rather that your word choice needs to reflect sophistication and a strong vocabulary. Don’t use words like “stuff”, “things”, “good”, or “bad”. For example, the bully wasn’t mean; he was heartless, cruel, merciless, callous, malicious, vicious, or toxic. Last minute tip: When used correctly, the thesaurus is your best friend! Make certain that any alternate word choices truly suit your purposes (some pretty funny word choices can result from improper thesaurus use). Don’t overuse “I”. Most college essays are first-person narratives, so it’s easy to fall into the trap of using “I” way too much. This comes off as unsophisticated and a bit narcissistic, plus it’s just bad writing. Last minute tip: Print your essay and highlight every time you used the word “I”. If those I’s appear too close together, go back and rephrase parts of the essay to reduce the use of “I”.